When the household routine of a Māori family was featured in a 1964 booklet for use in schools a furore resulted. Washday at the pa showed the mother and nine children of the Wereta family (not their real name), and included this photograph of Mrs Wereta putting dough into a warm oven to rise. The Māori Women's Welfare League led opposition to the use of the booklet, which they believed presented Māori as impoverished and primitive, and living in substandard conditions. At the time the league was pushing hard for the provision of state housing for Māori families. The 1961 census had found Māori homes far less likely to have modern conveniences like baths, flush toilets and electric or gas ovens than Pākehā homes. 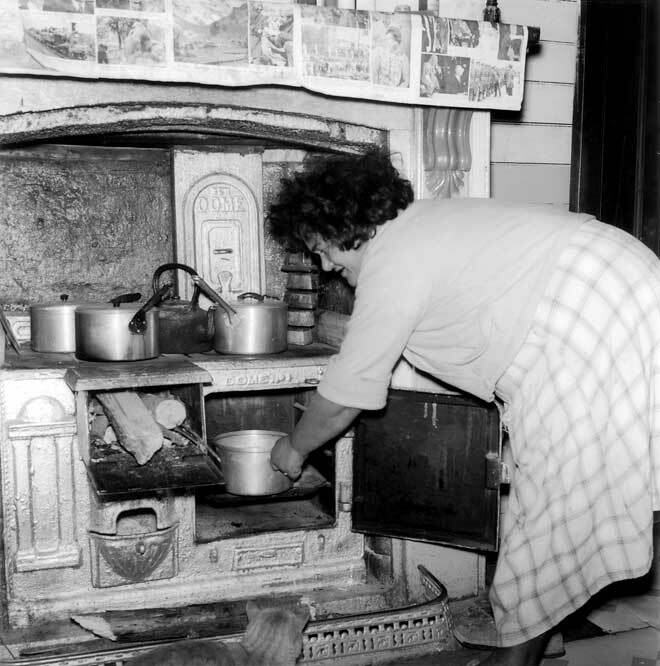 A wood or coal range of the kind Mrs Wereta used was found in 38% of Māori homes.